Total hip replacement surgery is done to improve function and reduce pain in the hip joint by replacing the joint with an implanted device. Usually, these hip replacements last for many years — sometimes even for life. However, in some cases the hip replacement may require hip revision surgery. This may be the case for patients who have a primary hip replacement performed at a younger age, who are highly active, or who experience complications following joint replacement surgery. Hip revision surgery involves a second operation on the implanted joint, which often involves replacing or repairing portions of the artificial joint, depending on the reason for the dysfunction. Why is revision hip replacement surgery performed? Loosening or wearing of the implant, also known as mechanical failure, which typically occurs after years of having a hip implant. A hip fracture, which can occur after a severe fall or impact injury, damaging the hip implant. Infection in the hip replacement sometimes requires revision in order to replace and treat the infected portion of the hip implant. Frequent hip dislocations may require revision surgery to correct the problem and prevent future dislocations. What does revision hip replacement involve? In order to determine if revision hip replacement is necessary, your physician will perform special testing to evaluate the positioning of your hip replacement components, as well as to visualize if there is any bone loss around the implant. Additionally, blood testing and other sampling may be done to determine if a hip replacement infection is present. During hip revision surgery, your surgeon will repair or remove certain portions of the original hip replacement. The specifics of each surgical procedure will vary depending on the particular patient and cause for the hip replacement failure. Dr. Peter K. Sculco will discuss the specific steps for your revision hip replacement procedure prior to your surgery. What are the advantages of undergoing revision hip replacement surgery? 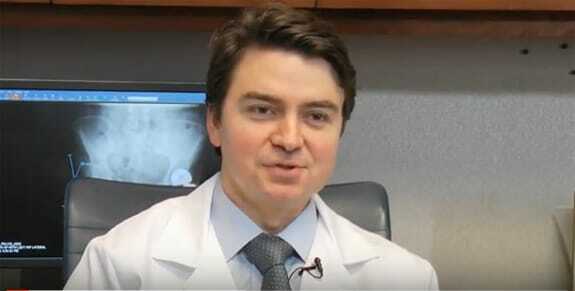 Dr. Sculco is a member of the Complex Joint Reconstruction Center (CJRC) at Hospital for Special Surgery, the first center of its kind in the world, focused on providing best-in-class diagnosis and treatment for the most challenging cases in joint reconstruction. For more information, please visit the Complex Joint Reconstruction Center website. Call 212.606.1771 today or fill out the form on this page to request an appointment with Dr. Peter K. Sculco.